Working to catch up on pictures so here are a few more of our fun fall activities. 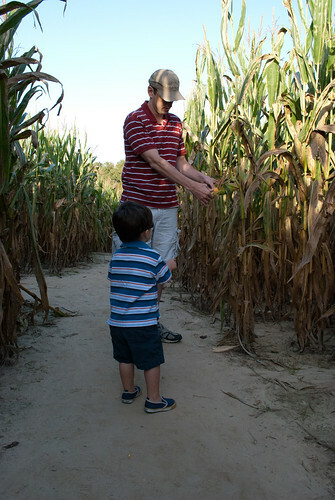 We went to a pumpkin patch a few weeks ago and the corn maze was by far his favorite. Casey immediately picked some corn for Graham which is against the rules. Graham then spent most of his time running around picking up nasty corn from the ground and trying to eat it. At least he had fun! We did a very small section of the maze and Graham ran around most of the time. I don’t think we would have made it through the whole thing with him! He also enjoyed the big sandbox and feeding the goats. Graham’s favorite thing at the fair was the hand washing stations.